Donald Trump's aides said they could not unequivocally rule out future strikes against Assad's forces. Palm Beach, Florida: President Donald Trump on Saturday praised the U.S. military for carrying out the missile attack on a Syrian airfield and struck back at mounting questions over whether it would help achieve a momentum shift in Syria's bloody civil war. "The reason you don't generally hit runways is that they are easy and inexpensive to quickly fix (fill in and top)!" Trump wrote on Twitter from Mar-a-Lago after playing a round at the nearby Trump International Golf Club. The president is spending the weekend here after completing a two-day summit at his winter estate with Chinese President Xi Jinping. In an earlier message, Trump offered: "Congratulations to our great military men and women for representing the United States, and the world, so well in the Syria attack." The White House has sought to cast the mission - which came in response to evidence that Syrian President Bashar Assad's regime had carried out an attack on civilians with the nerve agent sarin - as a major success in putting Assad on notice that he can no longer use such weapons without consequences. Officials announced Saturday that Trump had spoken with King Salman of Saudi Arabia, who offered support for his decision. Since a U.S. Navy destroyer launched the missiles early Friday in Syria, the Trump administration has struggled to explain how the attack - which came four years after President Barack Obama chose not to strike Assad unilaterally after a similar use of chemical weapons - fits into its broader policy on Syria and the Middle East. Trump aides said that they could not unequivocally rule out future strikes against Assad's forces, but they cautioned that the president's decision did not signal a broader ramping up of U.S. military engagement on the ground. 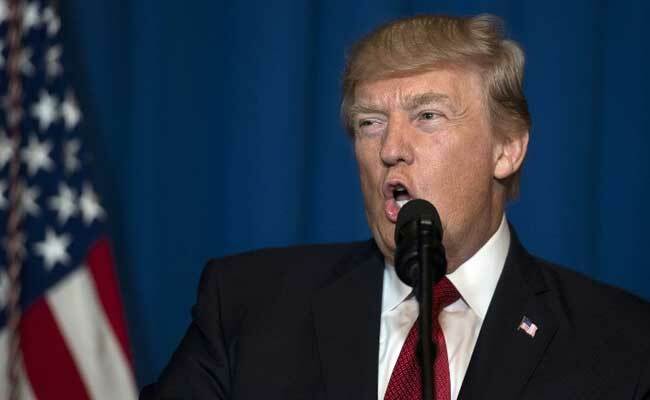 In a letter to Congress on Saturday, Trump said his aim was to "degrade the Syrian military's ability to conduct further chemical weapons attacks and to dissuade the Syrian regime from using or proliferating chemical weapons, thereby promoting the stability of the region and averting a worsening of the region's current humanitarian catastrophe." Senior administration officials have acknowledged that the targeted operation did not eliminate Assad's ability to carry out chemical attacks. And Trump, who has attempted to enact a ban on Syrians and those in five other majority-Muslim nations from entering the United States, has not indicated that he is willing to accept more Syrians who are fleeing violence. Meanwhile, the administration is nearing completion of a review of long-term strategy to combat the Islamic State in Syria and Iraq, which remains the priority over removing Assad from power. A fully developed proposal is expected to be delivered to Trump's desk in the near future, a senior administration official said. Of the U.S. missile strike on Assad, the senior official said: "We don't yet know if this is a one-time effort or not. We can't predict what may or may not happen." The official, who spoke on the condition of anonymity to discuss internal deliberations, added: "Certainly, it's the hope of the administration that this action will influence [Assad's] behavior in a positive direction, and we will not see further chemical attacks." The U.S. assault on the airfield drew sharp condemnation from Assad as well as his patrons in Moscow, where President Vladimir Putin has offered him political backing and military support. U.S. analysts said that despite his show of force, Trump has offered no broader strategy to achieve a cease fire between the Assad regime and rebel groups to help broker a diplomatic solution. "They seem to be celebrating the strike almost as accomplishment in itself rather than as a tool to achieve any particular strategy," said Jeffrey Prescott, who served as director for Iran, Iraq, Syria and the Gulf States at the National Security Council under Obama from 2015 to 2017. "Even days later, they are basking in the glow, but we do not have a clear sense of why this strike and to what particular end." "Once the ISIS threat has been reduced or eliminated, I think we can turn our attention directly to stabilizing the situation in Syria," he said, using an acronym for the militant group. "We're hopeful that we can prevent a continuation of the civil war and that we can bring the parties to the table to begin the process of political discussions." White House aides said that Trump, who had campaigned generally on a noninterventionist platform, was moved to act after aides on Tuesday delivered a detailed assessment of the chemical attack and the president viewed television images of dead and suffering children. Over 2 1/2 days of intensive deliberations with aides, including at the Pentagon, State Department and National Security Council, Trump authorized the strikes. But the White House did not ask Congress for permission and it offered no public explanation until after the mission had been completed, when administration officials, including Vice President Mike Pence and Cabinet officials, placed calls to U.S. lawmakers and foreign capitals, and briefed reporters. After considering a unilateral strike in 2013, Obama ultimately asked Congress for permission to strike after evidence was found that the Assad regime had crossed Obama's "red line" against using chemical weapons. Obama aides said at the time that the president wanted broad political and public support before acting after years of U.S. military conflicts in the Middle East and Central Asia. But lawmakers voted against the authorization. On Capitol Hill, reaction to Trump's action has been mixed, with Republican leaders endorsing the president's belief he did not need congressional approval to act. "I do not see any grounds for optimism and worry that expectations will be disappointed," said Tamara Cofman Wittes, a former deputy assistant secretary for Near East affairs at the State Department under Obama. "I worry that Assad could escalate. One possibility is that Assad could hasten his use of conventional weapons to end the war on his terms. "In this lightning process," Wittes said, "the idea that [the White House] worked through the second- and third-order effects - I find that questionable."